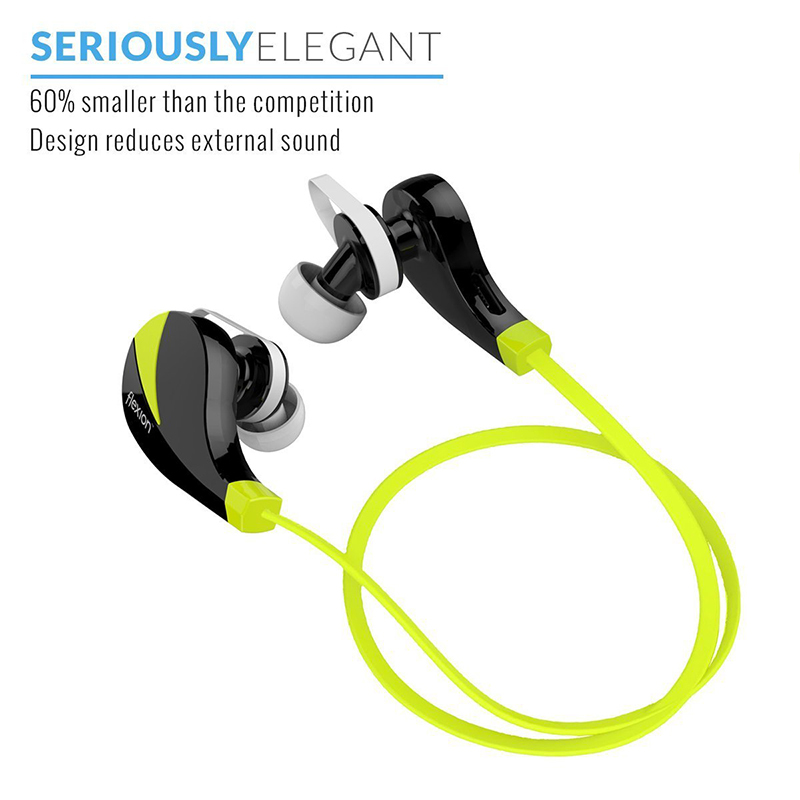 True FlexTech™:our Kinetic Series defines elegance and functionality, and are equipped with Bluetooth 4.0 + EDL in headphones 60% than the wireless competition. 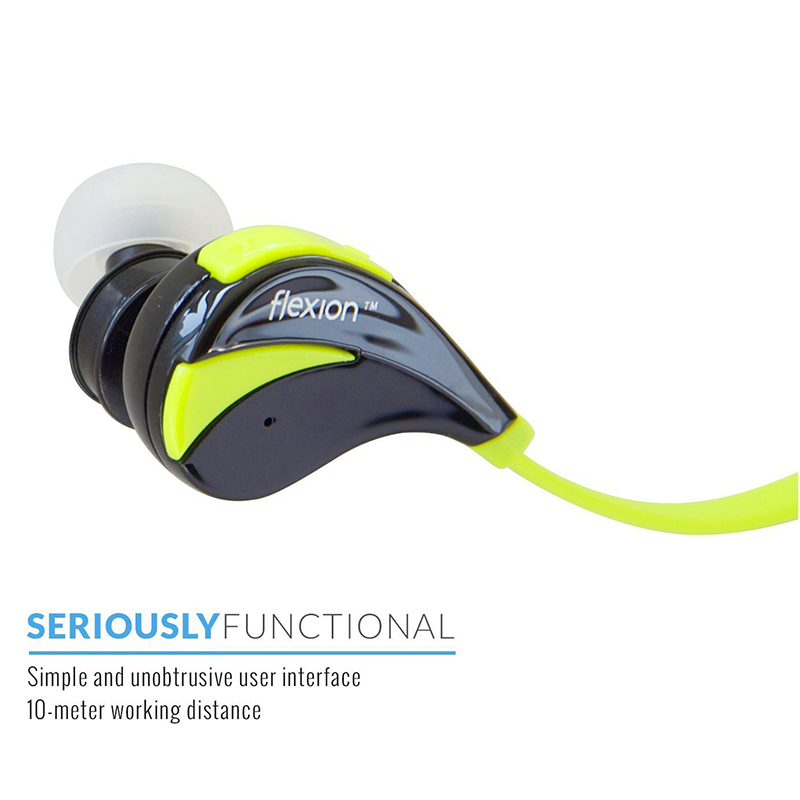 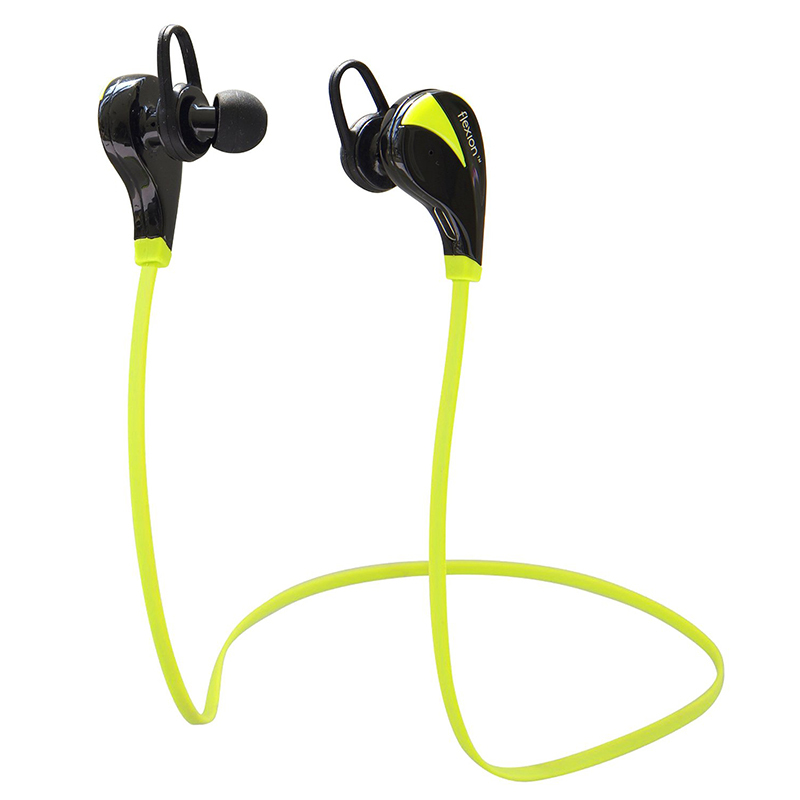 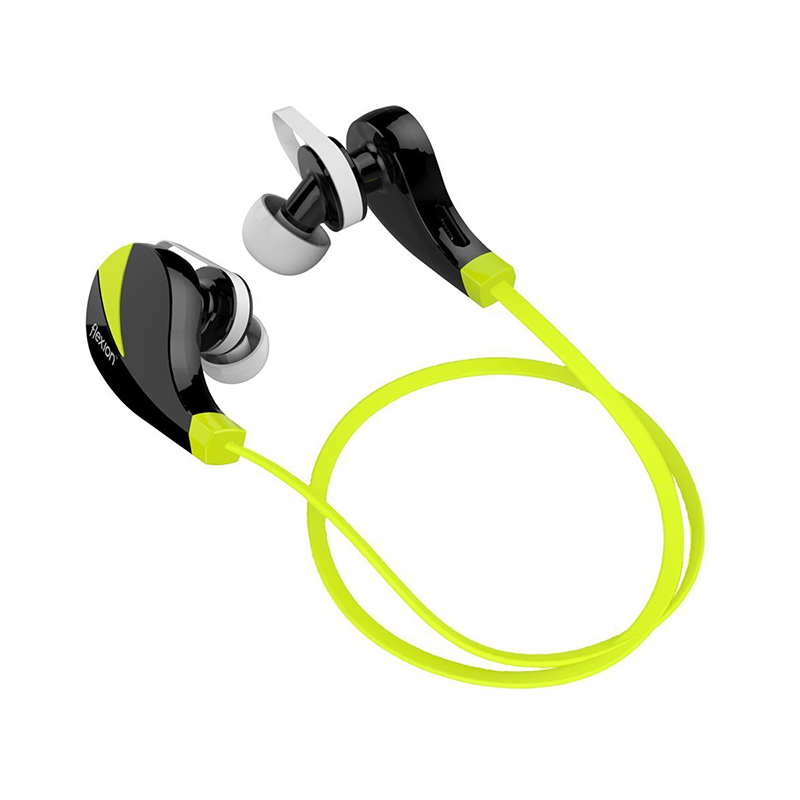 Fully exercise-proof: with functional user interface, earpiece design, and a 10-meter working distance, our headphones will let you enjoy music through a variety of activities. 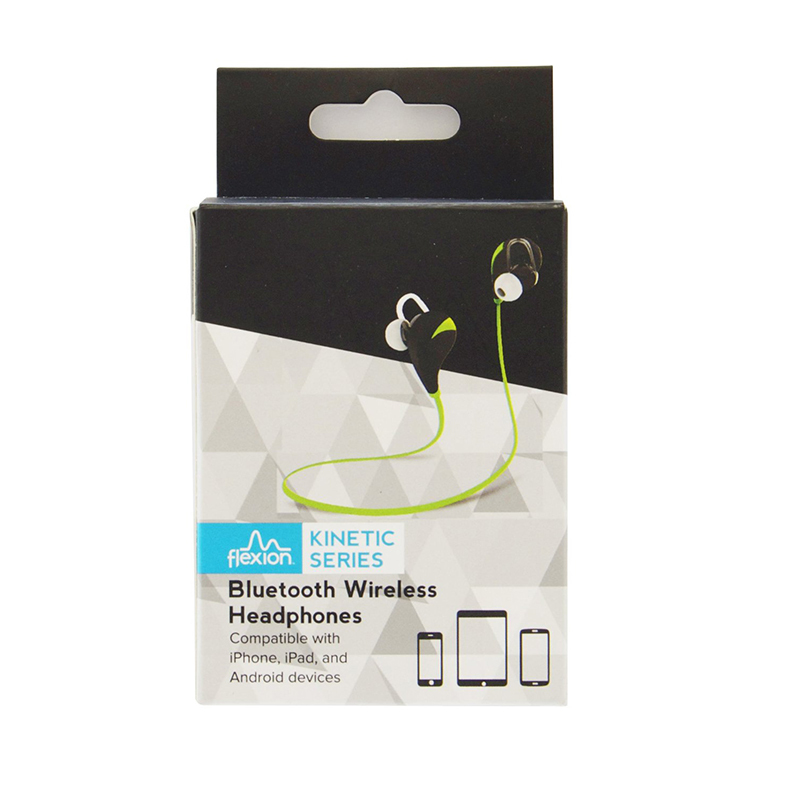 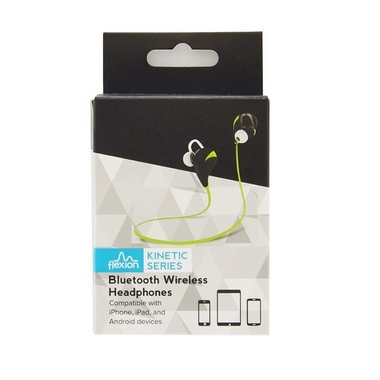 Universal device compatibility: the Kinetic Series Headphones are compatible with most Bluetooth-enabled phones, and reduce external sound. 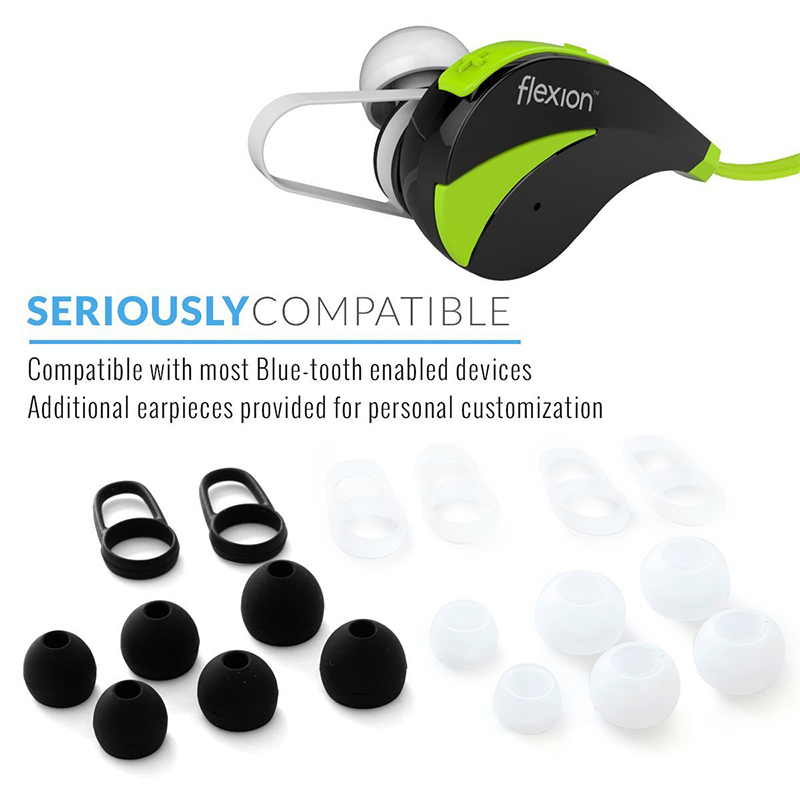 Package contents: Flexion™ Kinetic Series Wireless Headphones, user manual, charging cable, and custom earbuds.